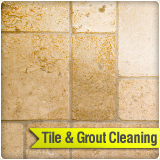 The process of carpet cleaning and upholstery cleaning, when done properly by our experts at Carpet Cleaning San Diego, will improve your health and well being, as well as lengthen the life of your furnishings. 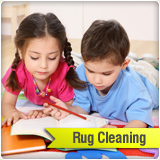 Our well-trained rug and furniture cleaners have the knowledge, experience and state-of-the-art cleaning tools to get the job done right, using environment friendly cleaning supplies and techniques. The decision to have your carpets, rugs, furniture and upholstery cleaned professionally is one that should not be taken lightly. 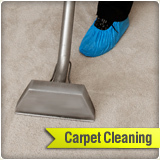 Carpet Cleaning San Diego hardworking staff takes pride in delivering the best possible results in answering your cleaning needs - without the use of harmful detergents or toxic chemicals typically found in products used by another carpet and upholstery cleaner. 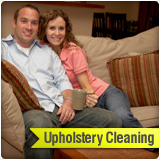 From stain removal to leather cleaning, we use exclusive upholstery supplies that leave no harmful residue. You don't trade in your car when all it needs is a good cleaning - so why buy new furnishings (carpet, rug, sofa, and window) when all it really need is a good professional cleaning? 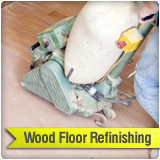 Don't wait until your carpet and indoor furnishings look and smell like they need to be tossed. 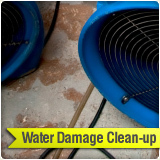 The natural build up of minute particles of dust, dirt, bacteria and dust mites at the base your carpets, inside upholstery cushions and in other dark, hard to reach places, ages your indoor design elements before their time. 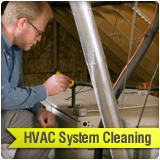 Regular cleaning, on the other hand, can keep your furniture in service until it falls apart. 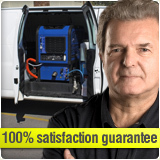 Call Carpet Cleaning San Diego at 619-573-4541 today for a free consultation.